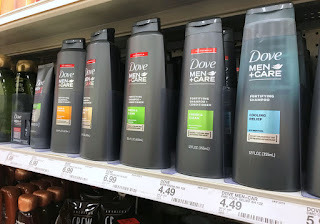 The Target Saver: Target: Dove Men+Care 2-in 1 Hair Care , as Low as FREE! 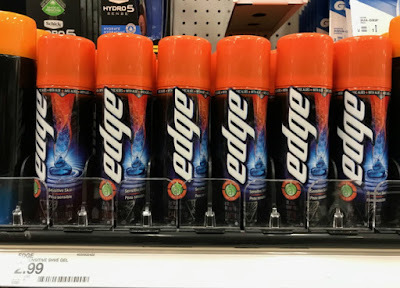 Target: Dove Men+Care 2-in 1 Hair Care , as Low as FREE! Now thru March 23rd, head to Target for an awesome deal on Dove Men+Care Shampoo! Pick up five at $4.49 each, and use the 10% Off Dove Men+Care Hair Care Target Cartwheel. Then use two $2 off one Dove Men+Care Hair Care coupons from the 3/17 RetailMeNot insert, plus a $2 off two Dove Hair Care coupon from the same insert. 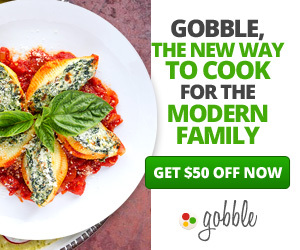 Submit five times for $1.50 off one Dove Men+Care 2-in-1 Hair Care Ibotta Cash Back and receive a $5 Target Gift Card with the in-ad coupon, making your final price JUST 1¢ each 5¢ for all five!